Saree is one of the most traditional outfits of India since the ancient time, and even in the modern scenario, the trend of wearing the saree is still followed by the majority of the women across India. There are many cultures in India and each culture has its own style of wearing the saree. Wearing the saree could be the tough job for the modern day women as they might not get used to it in their regular clothing style. This is the reason that why they search over the Internet about the several methods of how to wear saree. 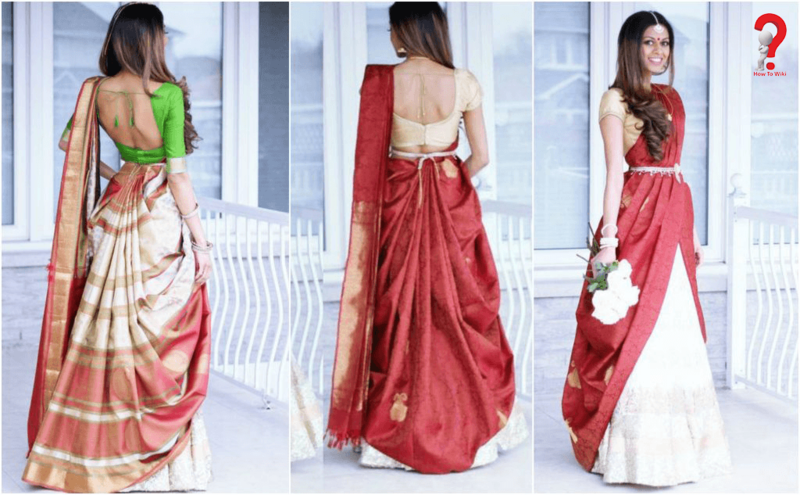 Here in this article, we are going to provide you with the step by step guide to wearing the saree. If you are not familiar with wearing the pleats saree then it could be the tough job for you to make the pleats in the first place. Here is how you can easily make it by the below-mentioned steps. First of all, you need to make the pleat which is the toughest task. You can make the pleats either while draping the saree or can make it in advance and then iron it as it is so that the pleats can get set just like that. Just stretch your left hand and then use your thumb and pinkie fingers to hold the cloth. Now just simply use your right hand through the pinkie fingers and the thumb with the alternate fingers to wind the cloth. You should be making 5 to 6 pleats in one round. You can follow the same procedure to make them as many pleats as you want. Now just set the pleat strips behind your back so that you can set your pallu in your own desired way. Wedding season is on the peak and if you want to wear something ethnic, then the wide styles of the saree are available at your option. Here below we are suggesting you some of the saree styles that you can consider wearing at the wedding. This is the first and the most gorgeous saree style and here is how you can wear it. You can wear this saree in a casual manner having the pleats in the center and then can fix the pallu in the pleated style. You can either let the pallu fall at the back you can drape it around. This is the other gorgeous wedding style of ethnic saree outfits. Here is how you can wear it. You need to drape the lower part of it in the mermaid style. Then take the pallu from the behind to the front and you can leave the rest on the shoulder. You can also this saree with the exquisite pallu to look extremely attractive. Now just let the pallu open and then fix the other side of the skirt. If you want to wear one such saree at the wedding which can depict your own swag then the dhoti saree drape is the way to go for you. Here is how you can wear it. First of all, drape the saree with the precise finishing and leave some space to the other end of non pallu and then overlap the ends. Now just make the pleats and take it to the shoulder. Next, you need to take the left side and make the pleats from that side as well. Take the pleats inside the skirt and it will create the western dhoti style. This is the non-conventional yet the very attractive way of wearing the saree. Here is how you can wear it. Take the saree and just wear it in the same conventional manner. Next, take the other saree and you just need to wear that in the alternate direction in a manner that it will be emerging from the back towards the front. It will create the double drape of the saree and you would look purely the center of attraction. Are you having the little over body weight than the ideal figure and then you have to wear the saree at the coming wedding. Well, just don’t worry here is how you can wear the saree to look slim. Focus on the pleats of the saree it should be done with the perfect finishing so that you look tight and slim. 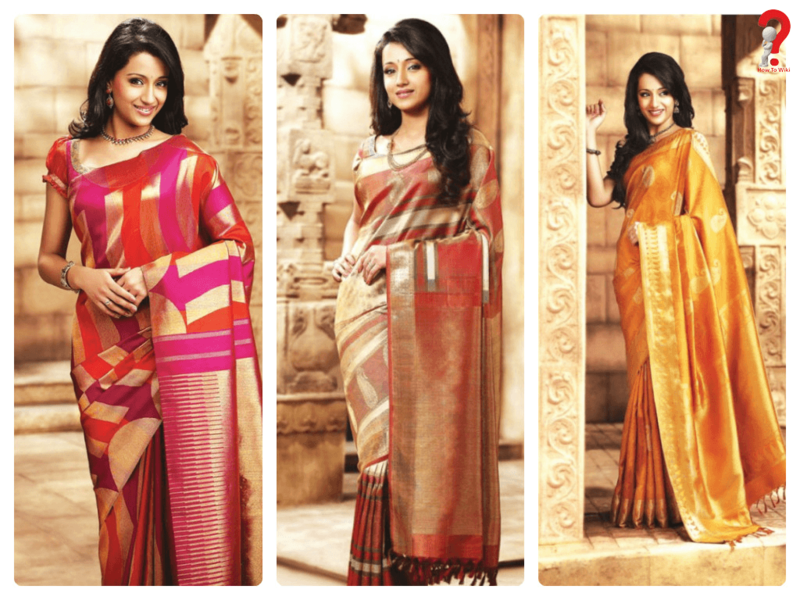 Choose the light fabrics saree since cotton or organza isn’t going to make you look slimmer. Prefer the dark colors as they are more enchanting than the light colors and can easily hide the weight. The prints over the saree should be light not too much-congested prints. The border of the saree should be thin enough. Prefer the saree with the long sleeves and then just tie the saree below the navel. There are so many options available for you to make your final choice about the saree that you are going to wear on the occasion. We will urge you to just Google about the famous and the trending saree outfits and then choose the one among them. You can next find the step by step guide to wearing that particular style since every style follows the different way of wearing it, and it is not possible to mention the ways of wearing the saree for all the styles. If you are looking forward to trying the Bengali ethnic saree outfits but confused as to how you should wear it then here we are mentioning the easy steps for you. Simply start by wrapping the saree at your waist region. Here keep in your mind that the border of the saree should be grazing at the top side of your feet with the horizontal look going parallel towards the ground. After wrapping the saree just take the edge of the saree and start making the pleats using the back and forth method. Now next you need to drape the saree for your upper body and for that you need to fold the remain portion of the saree and make the pleats. You can fold the saree in the 4 to 5 inches sections and just make the clean folds. After making the folded section you just need to throw it over your left shoulder. Now you can make the adjustments to let the bordering of the saree be visible in the vertical shape. Now at last just grab the corner of the fold and then pull it from the left to the right side. It will be at the front region of the body and you can use the pin to keep it secured there. This kind of saree style is famous in the region of Maharashtra and if you want to give it a try, then you can follow the below-mentioned steps. Keep the saree in your hand and start from the back of the person. Take the one end of saree over the right waist and then make the double knots between the saree across the waist and over the navel. Now next take the fabric of the saree between the legs and then make the pleats to tuck it at the back side of the person. Then you need to make the pleats from the front length and tuck it in the center this time. At last, you need to bring the saree at the waist region so that you can make pleats for the pallu. Now just use the pin to secure it. So, you are going to wear the cotton saree this time but you seem to be having no idea about it. Don’t worry here is how you can easily wear it following our below-mentioned guide. Whether it is the cotton saree or any other saree you are going to need the petticoat and the blouse to wear the saree. Choose the desired choice of the blouse and the petticoat and yes you can choose the different colors. Now next you just need to start by your blouse and then you will need to secure the petticoat from your waist. The next part is the wrapping which you need to do by opening up the saree and hold it in the horizontal shape. Now at last just start the wrapping process around your waistline and at the end, the wrapping should be hiding your petticoat well. Once the wrapping is done then just tuck the saree with the petticoat. There will be the blob of cloth just before your feet you need to pick that and then make the pleating out of it. You will need to make at least 4 to 5 pleats and then just tuck it into your petticoat. 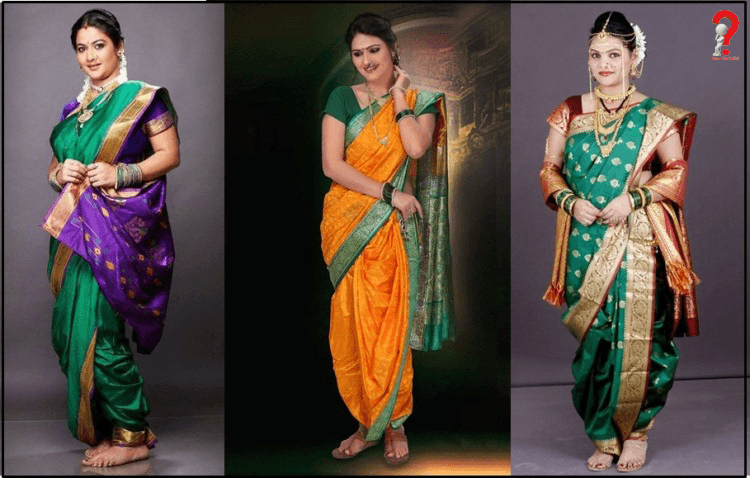 Silk saree is famous and always worn in southern India and if you are also willing to wear it then here below you can follow the provided guide to easily wear it. First of all, you just need to take one end of the saree towards the right side. Next, bring the saree over your waist region and make a full circle so that the whole fabric should be tucked till the waist region. Then take the other free end of the saree and tuck it towards the left waist from the front and then make the pleats. You can secure the pleats on your left shoulder. Now you need to arrange the pleats in a manner that the border should be visible and then you can use the other pin to secure the blouse linings. Now from the right side, you will need to fix the fabric and secure the pins. Then adjust the pleats from the tucked portion and then tuck it again in the mid waist region. You can secure it using the pins. This is the other way of wearing the saree and if this style is fascinating you then here is how you can wear the half saree style. Start by wrapping the saree on the petticoat and you can start it with the tuck on right method. Next, you need to start making the small pleats from the right side of 2 inches and then just tuck it in the waistline region. Keep on making the pleats as per the lengthwise section and at last tuck it forward in each pleat. There will be the time when you would have reached the pallu and then you just need to fold it so that you can tuck it into the right inwards side. This whole process will complete your entire saree and it will be having the lehnga alike shape out of the saree. In a similar manner, you can try the other half saree styles.